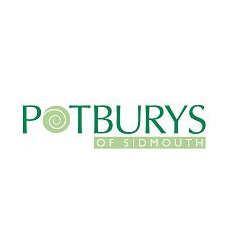 For over 150 years Potburys has been supplying quality home furniture and home accessories to discerning homeowners. Based on the High Street in Sidmouth, Devon we stock everything for your home – from sofas and beds through to soft furnishings and lighting. We also provide a carpet fitting service and free nationwide delivery. Over our 150-year history, our shop has evolved to meet the changing requirements of our customers. We are constantly introducing new product lines and suppliers and keeping up to date with the latest trends. We are still independently owned and continue to respect the traditional values of our founders. Good service, integrity and professionalism are core to everything we do and guarantee you will receive excellent customer service. In addition to our furniture store, we also operate a Removals and Storage service and an Auction and Valuation business.